Seattle police announced Friday that a male pedestrian struck by a car in West Seattle’s Delridge neighborhood Thursday night has died from his injuries at a local hospital. According to The Seattle Times, the 52-year-old pedestrian was crossing the intersection at SW Brandon Street and Delridge Way SW at approximately 4 p.m. Thursday when a white passenger van struck him. News reports do not say whether or not the man was in a crosswalk at the time of the collision, though there are marked crosswalks at that intersection. A spokesperson for the Seattle Fire Department says that when medics arrived at the scene, the victim was still alive but showing signs of life-threatening injuries. 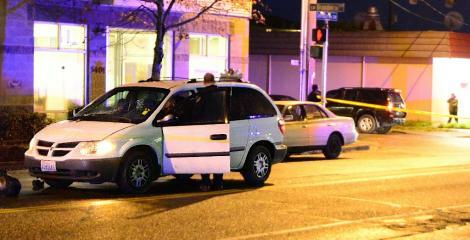 He was rushed to Harborview Medical Center for treatment, where he later died. Police say that the driver of the passenger van involved in the collision was cooperating with their investigation. The van suffered significant front-end damage and the impact is believed to have cracked the windshield, which sheds some light on the severity of the collision. There was no indication whether they believed drugs or alcohol contributed to the crash. Pedestrian accidents can be extremely complex personal injury cases to pursue, primarily due to the fact that liability is often disputed. Despite this, Washington state’s comparative negligence laws dictate that even if a pedestrian is found to be partially responsible for their own injuries, they may still be able to recover compensation for their losses. If you or a loved one has been hurt and would like to learn more about legal options after being injured in an accident, you may use the contact form on this page to contact our office immediately.